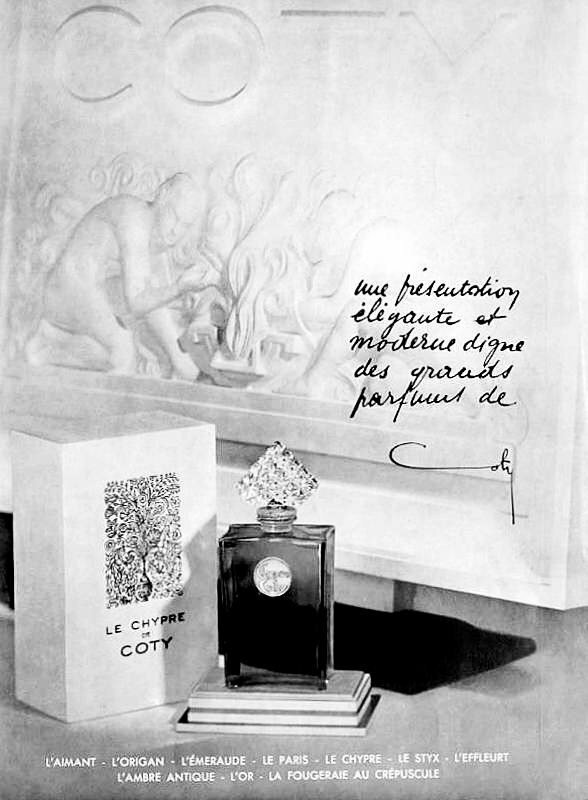 Chypre de Coty is a popular perfume by Coty for women and was released in 1917. The scent is chypre-floral. The longevity is above-average. The production was apparently discontinued. 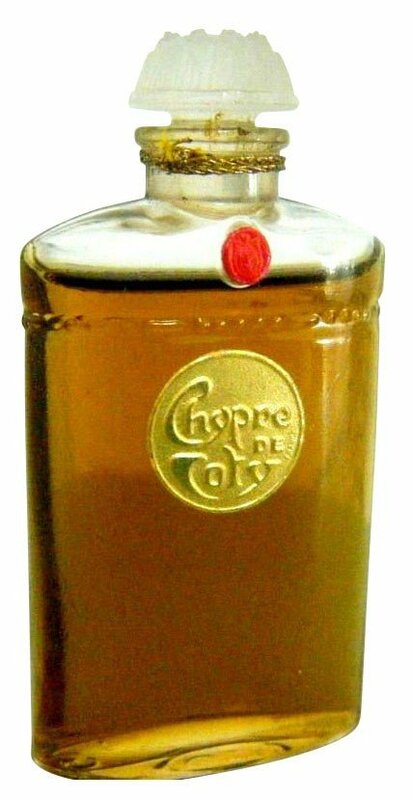 The fragrance was named "Chypre" (French for Cyprus) because its notes were inspired by the Mediterranean. It gave the name of the Chypre fragrance family and was therefore the basic Chypre fragrance in the history of perfumery (the typical olfactory dramaturgy of Chypre was already found in other perfumes in the second half of the 19th century, but not this popular and modern). The now classic course was conducted exemplarily in this referential perfume: hesperidian top, floral heart, woody and mossy base. This perfume may very well be the first I fell in love with. It brings back memories of my childhood and my mother. 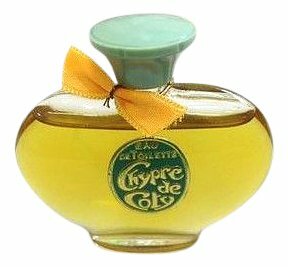 I've posted reviews of Chypre de Coty before, but not put them in the database. Here goes. So cool, so grownup. Did my mother wear this? Don’t think old lady when I say that. My mom was a grand gal, so gorgeous that when I brought my high school prom date over to meet the family and my mom came downstairs, his mouth gaped open, his brain froze, and before he could catch himself he croaked out, “Who is THAT?” I elbowed him and whispered, “Sshh! That’s my mom.” I was so proud of her, so glad to have femininity in perfection as my own mother. She always smelled great. I know she wore lavender. She also wore this. There's citrus, which must be Bergamot. Mandarin? Musk is there. Maybe even civet. And there’s a tangy, resinous element. Maybe cistus labdanum. And flowers, Jasmine included. I remember this perfume. I’ve smelled it on ladies furs piled on my bed as their owners sipped tea (or something) in the living room--long ago, before furs were a bad thing. To me, Coty’s Chypre feels like a warm embrace. Let me look up its notes: Civet! I was right. Bergamot. Oakmoss, Incense, too. Lots of flowers; Jasmine, rose, lilac, carnation, yang ylang, Iris? And Styrax? What is that??? Oh, it’s where benzoin resin comes from. Smells like vanilla. In youth, I never tried to emulate my mom, principally because my head was always in a book. Only now, late in life, do I treasure her passion for gossamer scarves and unforgettable perfumes. To be in the presence of the grand gal who raised me, I must only wear this. I still feel this way about Chypre de Coty. Just sprayed it on left hand and my nose wouldn’t let me type for a good while. For me it’s a deeply resinous, deeply evocative, familiar scent. I still consider it one of the great perfumes. A year later, I am more aware of the civet, made alluring by the rest. Oakmoss is haunting, labdanum narcotic. Only last week did I realize I’d hunted down vintage Mitsouko, but not a vintage of this! Hubby, learning, came to the rescue. It's among my top 5 favorites, this tremendous, generous, sophisticated, velvet perfume. 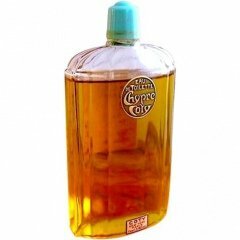 Not for nothing is this perfume the mother of all chypres. 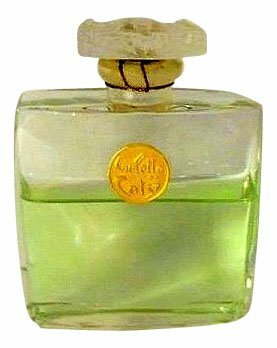 I never tire of this lovely classic perfume. Revisited from an immaculate bottle in near mint condition. All the classic perfumes you know the names of so well are all encapsulated here in one bottle as germinating ideas. A green and bitter, yet so very soft and gentle, powdery yet still with an edge. Wearing this is like the caress of a dearly loved mother or grandmother. The sparkle of life, lived to the full is within like a bright jewel, but the edges have been eroded by time until it feels like the smooth tumbled glass that you find on the beach. None of the harshness left around the edges but it still sparkles from within. I will always hold this as my ultimate icon of perfumery. Like a true matriarch, none of her great family have got the better of her yet. One to smell before you go. 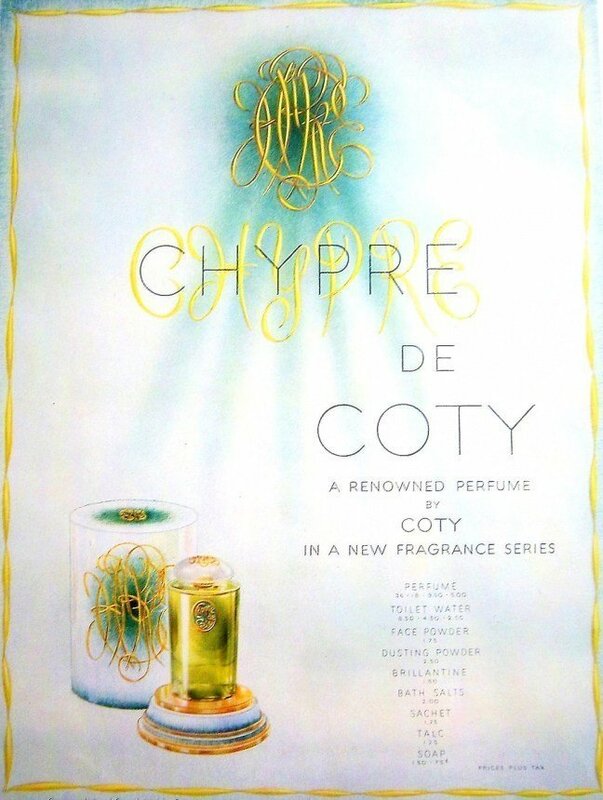 Receiving a decant, then scoring two vintage bottles on ebay, Chypre de Coty is for me a history lesson in perfumery, especially in cracking the code of the chypre genre. As a word, "chypre" has always held me. It's anagram is "cypher", a codes to be cracked, a template perhaps. 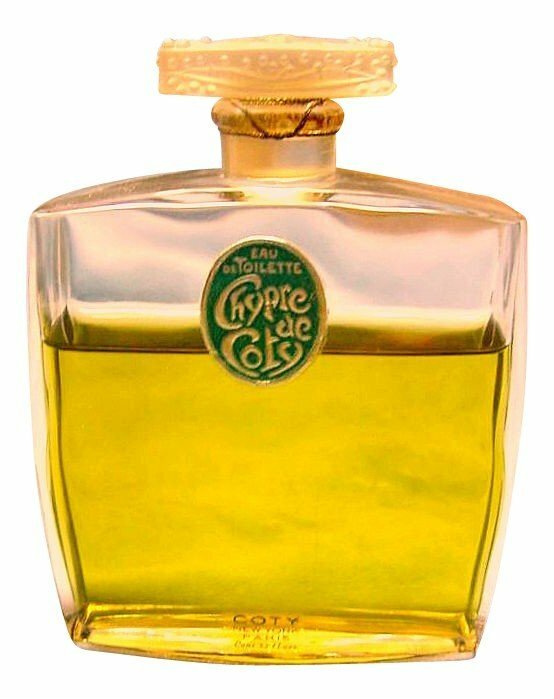 Chypre de Coty is the genre's Rosetta Stone, it is an a way blunt and bare compared to its successors. 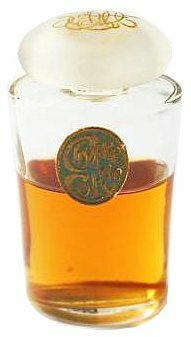 I did a side-by-side sniff with Mitsouko vintage EDT (decant TPC). Coty is a parched outdoors to Mitsy's cushioned indoors, marmoreal to her flesh and blood, a rose to her peach, a big picture to her details. It's the missing link that informs me, "so THAT's what I've been smelling all these years," an accord I know best as mom's scarf drawer. Just lovely. 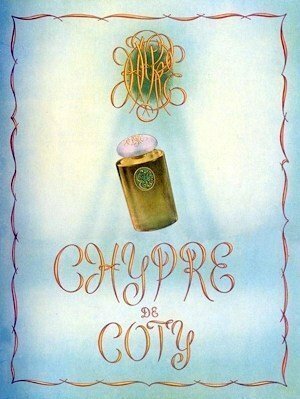 Write the first Review for Chypre de Coty / Chyprée!